Are Dental Implants Stronger Compared To Real Teeth? It is very easy to take our teeth for granted. However, when someone loses a tooth it can affect both their physical and emotional health. You may find it harder to eat and speak, and you probably feel embarrassed or even ashamed about the appearance of your teeth and smile. Fortunately, no-one needs to live with the effects of tooth loss for long. There are a number of different tooth-loss solutions available including bridges and dentures, but none are more sought after than dental implants. Dental implants are the most aesthetically natural of all varieties of dental restoration. However, as a replacement for the entire tooth including the root, some patients have concerns over the strength and durability of dental implants. Nevertheless, the unique design of implants actually contributes towards their position as the strongest tooth replacement solution currently available. In order to appreciate what makes them so durable and long-lasting, you first need to understand exactly how they work. - The ‘root’. This is a titanium post that is surgically inserted into the jawbone. In the weeks and months after the implantation of the post, the bone will heal around it, securing it permanently in place. - The connector. This secures the root to the visible part of the tooth. - The ‘tooth’. This is usually a crown created from porcelain or porcelain fused to metal, although other varieties are becoming available. The crown is custom-designed to fill the gap and blend naturally with your surrounding teeth and forms the visible part of the dental implant. The process to receive dental implants typically takes place over several appointments several months apart. This allows for enough time for the implant post to fuse with the jawbone in a process called osseointegration. It is this aspect of dental implants that is primarily responsible for the durability and longevity of dental implants. No cavities. Since they are artificial, there is no chance that your implant will develop a cavity. Totally discreet. Custom designed specifically for you from high quality porcelain and in a shade that matches your other teeth, no-one needs to know that you ever lost a tooth. No impact on surrounding teeth. Since the implant is secured to its own artificial root, there is no reliance or impact on any neighboring teeth. Secure. Permanently anchored to your jawbone, which in itself also helps add strength to your implant, you don’t need to worry about your artificial tooth coming loose and falling out. Successful. Dental implants have the highest success rate of any surgically implanted device. Improved confidence and self-esteem. People who are happier with their appearance are more confident, have greater self-esteem and radiate a positive energy that makes them more attractive to people around them. But, how strong are dental implants compared to natural teeth? With proper care and attention, dental implants have the potential to be as strong or even significantly stronger than natural teeth. However, to be able to achieve this you really do have to commit to doing everything that you can to keep them in the best condition. This means sticking to a robust dental hygiene routine and brushing and flossing every day and visiting our dentist at least twice a year for check-ups and professional cleans. If you smoke, then you may want to think about giving up. Not only is it bad for your health, but smoking has been shown to contribute towards oral conditions such as gum disease which could compromise the viability of your implants. 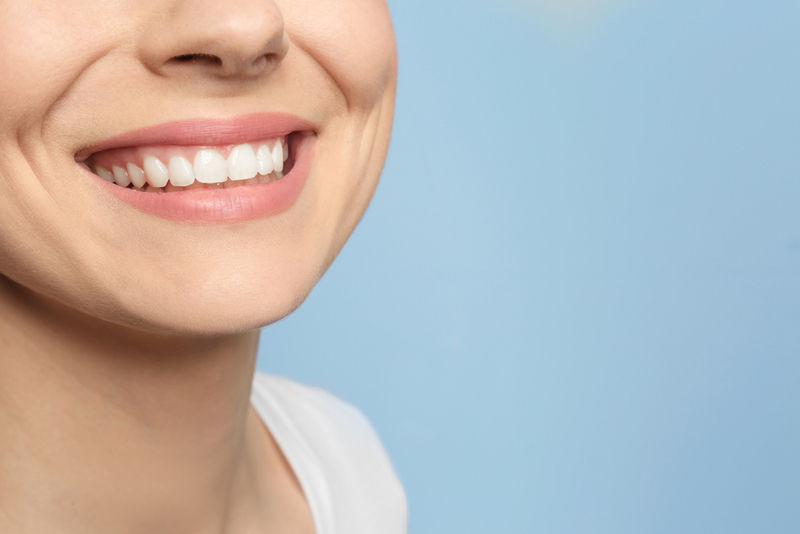 Whether you are looking to replace an existing restoration, or you are looking at filling a gap in your smile for the very first time, dental implants could be the solution that you are looking for. To find out more about the benefits of dental implants, or to schedule an appointment to discuss your candidacy, please don’t hesitate to contact our offices.